The orchid pictured above belongs to the genus paphiopedilum. They are commonly referred to as "ladyslipper orchids" or just "slipper orchids" for their distinctive pouch-like structure. They are similar to our native Ohio cypripediums and you may consider the paphiopedilums to be the tropical cousins to the cypripediums. The paphiopedilum is my favorite genus to cultivate (or at times, attempt to cultivate). I am fascinated by the structural details of this particular genus. They seduce a visiting insect and have a deep pocket (the pouch) which traps the visiting insect. 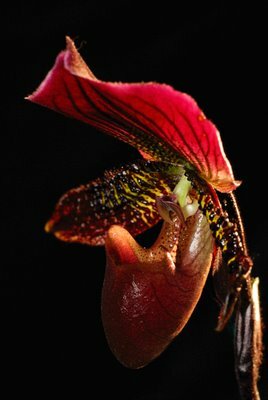 The insect may only escape through one passage in the orchid (located behind its column) because that is the only place the insect can get a grip on the surface in order to escape. In the process of escaping, the insect will dislodge the sticky pollinia (pollen sac) and it will adhere to the poor escaping insect. 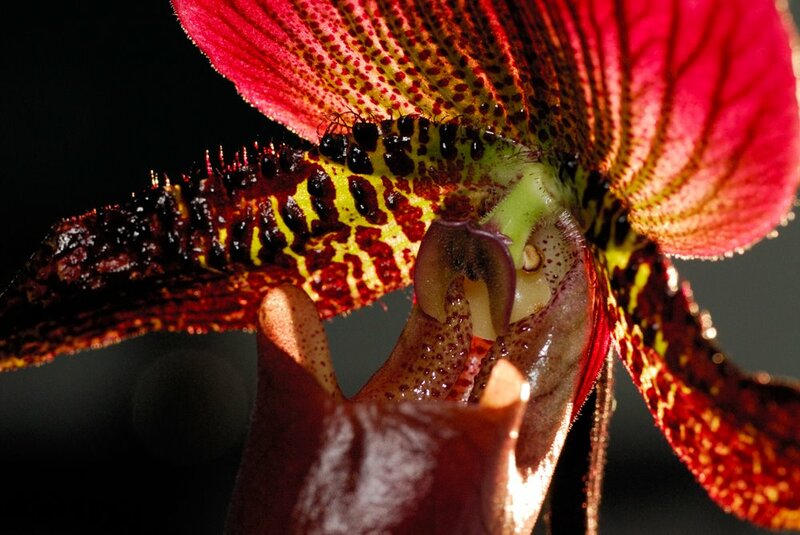 The insect will now get duped again when it lands on another paphiopedilum thereby pollinating it with the pollinia sticking to it. Some consider orchids to be masters in the art of seduction in the plant kingdom. Some consider orchids to be sinister, beguiling, and even sensual. I simply consider them beautiful. The orchid pictured above is one from my own collection. I was extremely fortunate to have it awarded first place at the orchid show this past weekend. This award is extremely meaningful to me and I think it is going to take some time for me to float back down to planet earth. Please click on the top photo to see an exquisite detailed closeup. Thanks Thomas, for your photographic excellence. Thanks to the judges who felt my plant to be worthy of such an esteemed award. "It's almost like a new universe and when you fall into it, you get ensnared. They're big and they're gaudy and gorgeous." "To desire orchids is to have a desire that can never be fully requited." These newts are rather elusive and rarely seen except for their mass migrations in early spring. 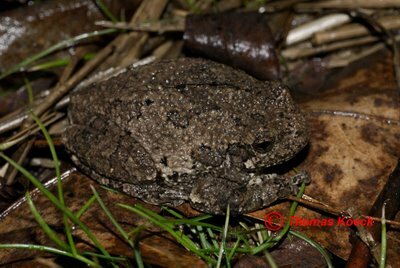 In fact, they occur during the first warm wet night of spring. 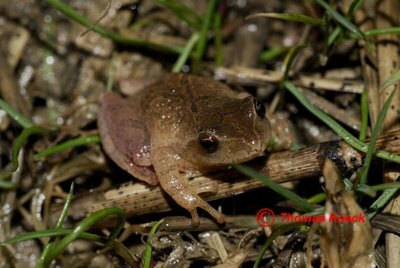 The first spring rain, such as on 03/09/06, will bring about their nocturnal mass migration into the nearby vernal ponds for their frenzied breeding. 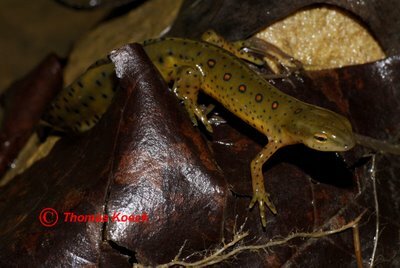 Because these newts are so elusive, naturalists will flock to the reservations to observe and photograph them. With the exception of their spring migration into the ponds, they normally spend their time in underground burrows. They live for approximately 20 years. 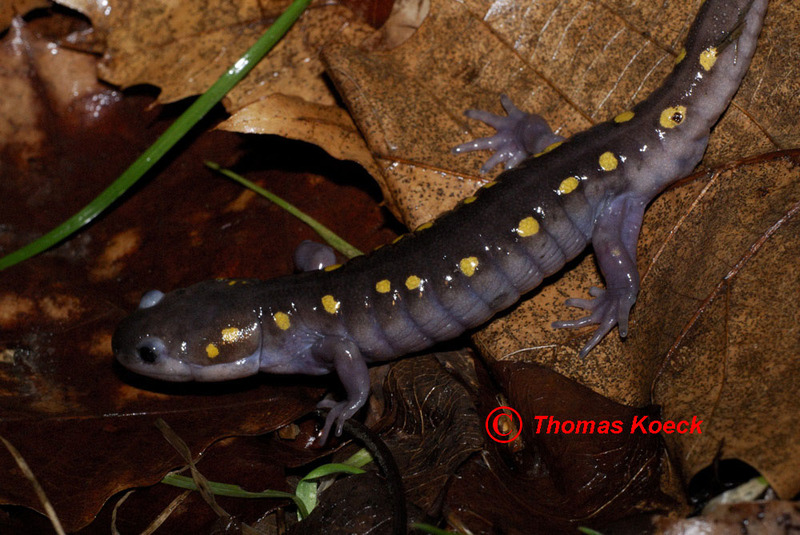 Also seen concurrently are the spotted salamanders. They breathe through their skin, and therefore must remain moist. Thus, they remain nocturnal and rarely venture from running water. It is rather unusual to see this little grey tree frog at this time during the year. It is still supposed to be hibernating. Quite frankly, this froggy looks rather groggy. Most likely it was disturbed and hence "awakened". Perhaps by the very naturalists trekking around. Please click on the pictures for an awesome close-up! Note to self: Do not flame fingers with the Bunsen burner while flaming flasks. What gives? Normally I am not an accident prone person in the lab. Normally I am cautious and give the laboratory my full attention when it comes to safety. Somehow, I am just all "butterfingers" in the lab lately. I guess I am just feeling somewhat distracted. I am a chocolate connoisseur. Chocolate is most certainly my favorite sweet. I especially love gourmet chocolates. My favorite are these Belgium chocolate truffles that I get from an import store near where I live. Words cannot describe the incredible sensation associated with tasting these particular chocolate truffles. So, I am not really into candy. Chocolate is my thing. However, I do like Jelly Belly jelly beans. I will buy them from time to time and my favorite flavor is Tutti-Frutti. What is really cool is that you have a recipe guide with the Jelly Belly beans. So, if you want to have the taste of chocolate covered cherries, you eat two Very Cherry Beans and one Chocolate pudding bean. And really, it does taste very much like a chocolate covered cherry jelly bean! 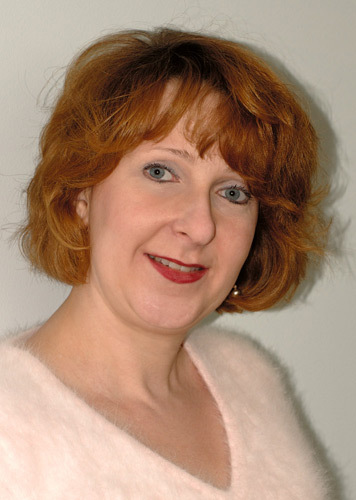 Of course you can have fun creating your personal taste sensations as well. So, the other day I was at the grocery store and I saw a package of Bertie Bott's Every Flavor Beans. They are made by the same company, Jelly Belly. Now, also, I enjoyed the Harry Potter movies and saw them all except the last one. Obviously, my curiosity was piqued. I thought to myself, would Jelly Belly really make jelly beans flavored like ear wax and vomit as shown in the flavor guide? I thought, Nah, a candy company wouldn't do that. After all, who would eat them? Maybe just a gimmick. Besides, how are they going to "taste test" the beans and decide which one tastes more like ear wax than the other? But nonetheless, curiosity got the better of me and I decided to buy them and try them. So, I get home and open the package. First, I go for the Tutti-Fruitti. Yum. Then my curiosity starts creeping in and I decide to go for the vomit flavor. So, I try it. Well, I can say that it has this sickly sweet flavor of vomit, but it seemed like more of a nuance rather than an actual flavor. Also, I thought that perhaps the effect was more psychological in that since it was labeled as being vomit flavor, then my taste buds and brain decide it is vomit flavor. Still curious, I decided to go for the Black Pepper flavor. Oh my! Definitely a strong black pepper flavor. Definitely NOT a nuance! The flavor was so strong that I decided to go for my other, but slightly lesser favorites of Blueberry and Cherry just to try to get the taste out of my mouth. However, still curious, I decide to go for the Sardine Flavor. I start chewing...Oh...YUCK!!!!!! Although I have eaten sardines before and have no problem with them, the very strong taste of sardines coupled with the sugar sweetness of a jelly bean was horrible. Yuck!!!!!!! Still curious, I decided to go for the Soap Flavor. I figured anything will be better than sardines. Besides, I thought I would be clever and use Soap Flavor to wash away the sardine flavor. So, I start chewing. Oh my, this one was really bad. It tasted like I just put a piece of strong soap in my mouth. Now I have the strong lingering taste of sardines coupled with the fresh presence of soap on my taste buds. Horrible, horrible yuck! Now curiosity is gone and desperation sets in. I want to get rid of those tastes in my mouth so I decide to eat the Green Apple flavor bean. I figured that should get rid of those horrible tastes and leave me with the pleasant taste of green apples. Besides I love Granny Smith apples, so Green Apple flavor should do the trick, right? Wrong. By mistake, I put Grass Flavor in my mouth and start chewing. Grass and Green Apple both look the same on the flavor guide!!!! In my desperation, I grabbed the wrong bean!!!!! Now I have grass flavored soap on my taste buds coupled with the lingering sardines. At this point I am out of pleasant flavored beans to counteract the horrible taste in my mouth. Definitely a combination that I have no words to describe! Grass flavored soap with a sardine overtone!! All I could do is just run to the refridgerator to grab some juice to drink to try and get rid or those flavors in my mouth! The juice did not get rid of the grass flavored soap with the sardine overtone. 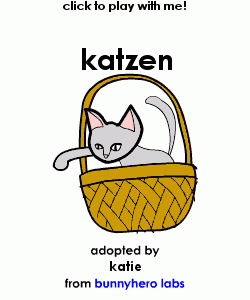 I think in this case, curiosity killed the Kat. However, I never did try the other flavors of Booger, Earthworm, Dirt, Ear Wax, Rotten Egg, and Bacon. The Bacon one probably wouldn't be bad, but it looks too much like Earthworm on the flavor guide and I am not going to make that same mistake again! I am not sure if I will ever muster the curiosity and courage to try those flavors. Today I learned that my improvisational mixture of methanol and dry ice (our research institute is currently having problems with their liquid nitrogen line) can and will cause burns to exposed skin. Yes, my fingers will recover. But my typing for now is impaired. I wasn't trying to expose my skin to it, just accidentally happened that way. And yes, I do know how cold this mixture is supposed be (after all, I was using it as a substitute for liquid nitrogen). At least it is not as bad as when I got the liquid nitrogen burns all over my hands. Now that was painful and rather long lasting. 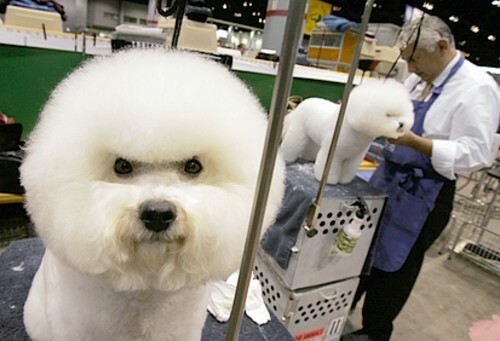 Tribbles really do exist. They do! They really do! 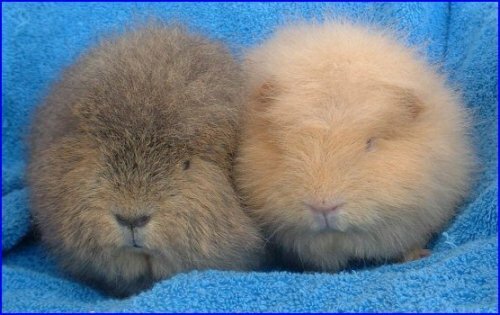 As a Star Trek fan, I am now in nirvana having found evidence for the existence of tribbles! I found evidence for these wonderful creatures at Cute Overload (one of my links). They may also be found at their original home site.